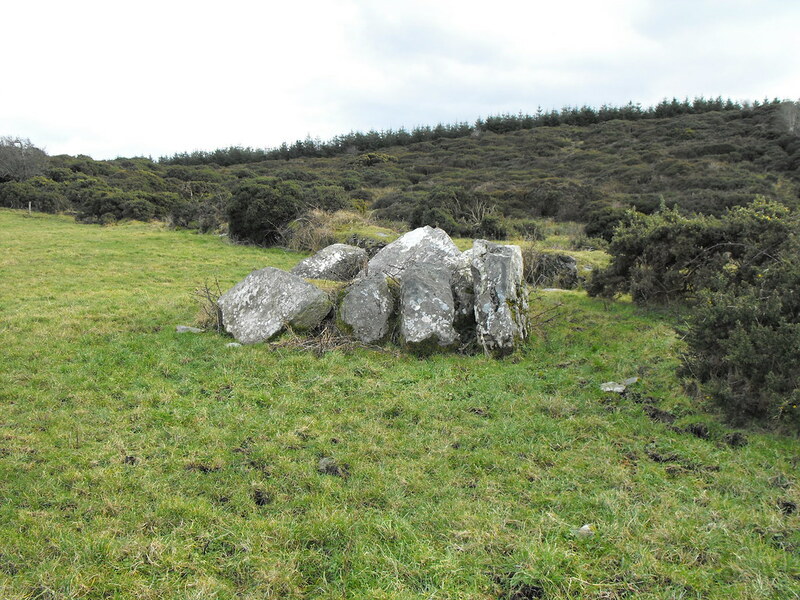 The Standing Stone: Lackamore, Wedge Tomb, Co. Tipperary. 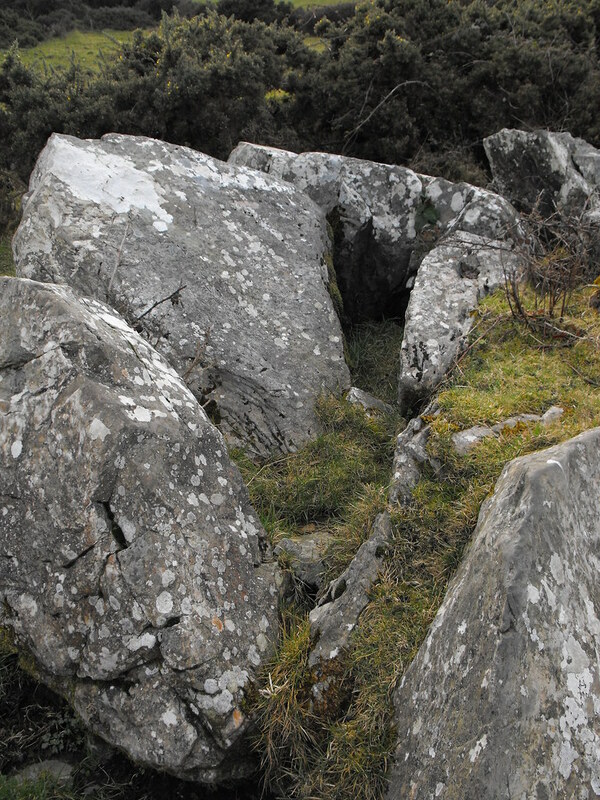 Lackamore, Wedge Tomb, Co. Tipperary. 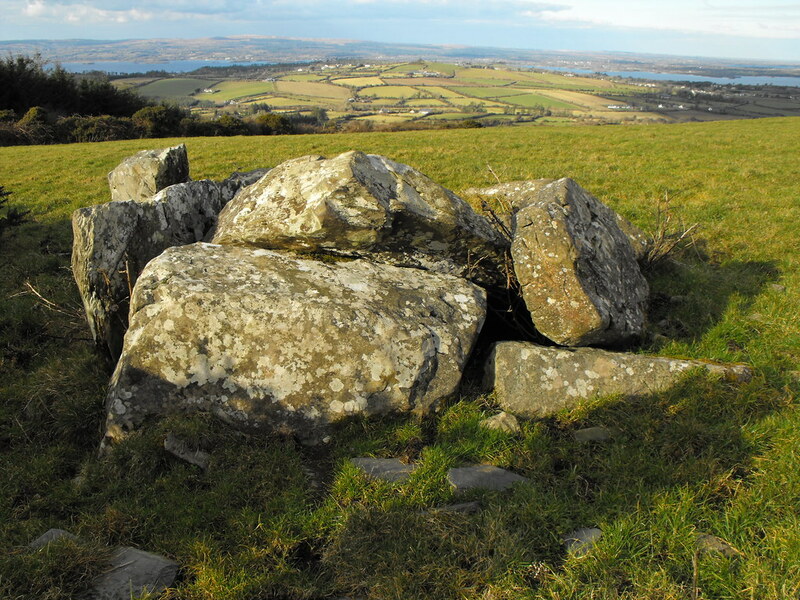 Location – On Corbally Hill in the Arra Mountains, not far from ‘The Graves of the Leinstermen’ and close to the Killaloe slate quarries. 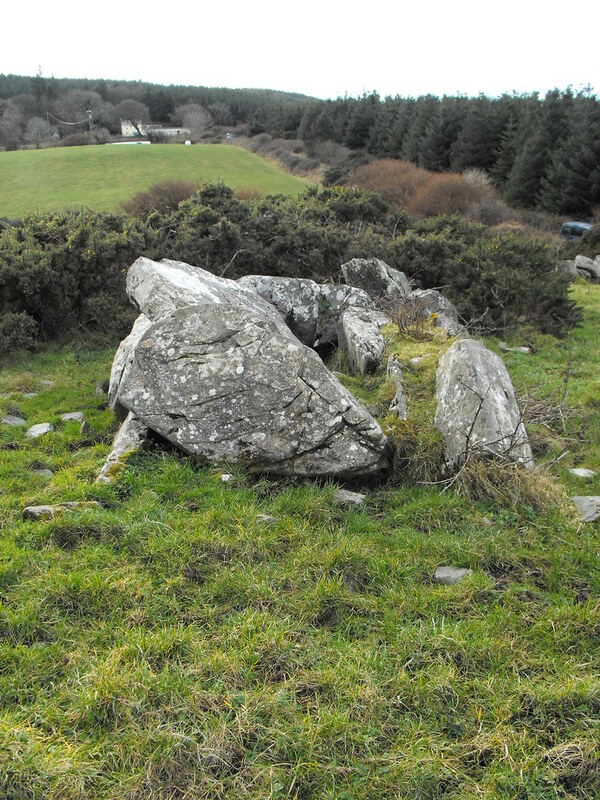 Description and History – Given that this wedge tomb is close to the Killaloe slate quarries it is a miracle that it wasn’t swallowed up by them. Nevertheless, this tomb is in poor condition. All of the capstones are either missing or out of place and it would be easy to assume that you were looking at a random pile of stones. In fact the owner of the land was unaware that there was a tomb on his land and pointed me off towards a natural rock outcrop on his land. It just happened that I passed the stones and recognised them for what they were. 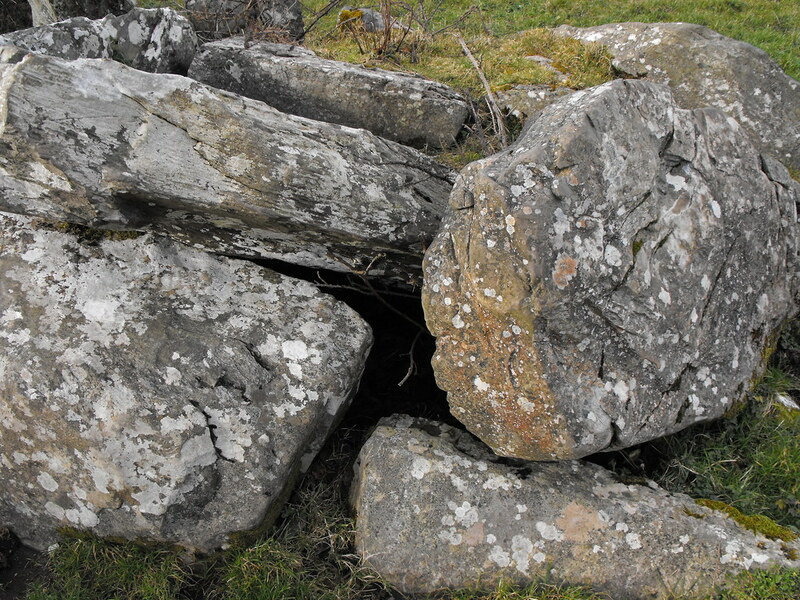 The double walling remains on one side and this gives the tomb away. I wish I had seen the farmer after seeing the tomb to I could tell him where it was but he was gone. I will pop back when in the area to make sure he hasn’t mistakenly removed them. 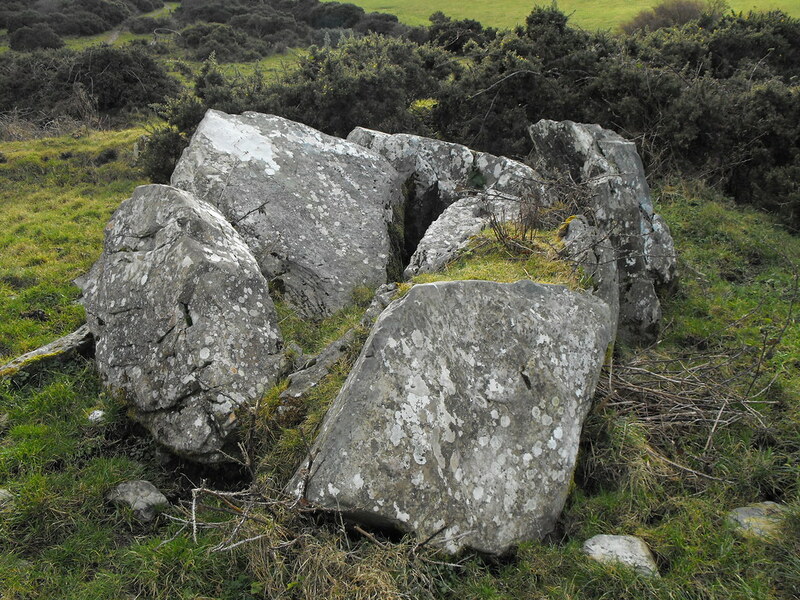 A septal stone also remains and the tomb is about 2.5m in length. In its day this would have been an impressive tomb. Still worth a visit if you are in the area. Difficulty – This tomb is exactly where it says it is on the map and is just inside a field gate. However, the roads are narrow and the drive through the slate quarries can be a little hair-raising. The road up to the field is little more than a track and unless you have a four wheeled drive I would recommend parking and walking. The tomb as you approach from the field gate. It is fairly close to the track next to the field. Stunning views from this tomb. Looking into the collapsed chamber. 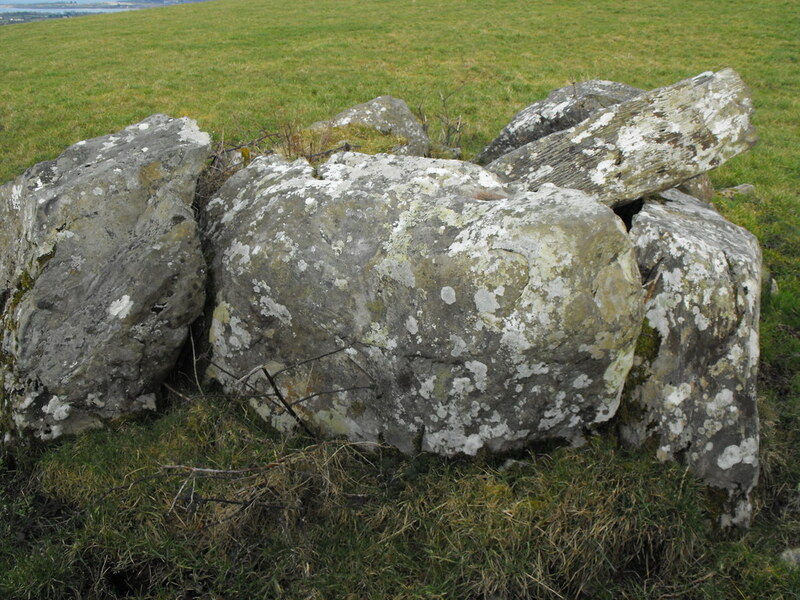 The double walling which is distinctive to wedge tombs.